In a profile of her presidential campaign in The Nation magazine, Gillibrand pitched an optional buy-in as a transitional step toward a single-payer health system. I’d let people choose [Medicare] for a certain amount of time—maybe a four-year buy-in at 4 percent of income, and your employer then matches it at 4 percent. That’s 8 percent of income in America. That is enough; it will pay for itself. 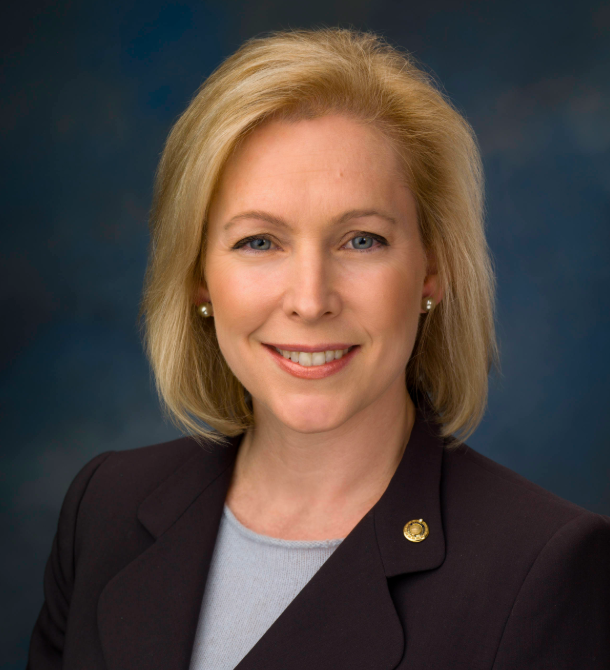 In previous interviews and speeches, and in a campaign video, Gillibrand had said her buy-in would cost 4 percent of income without mentioning that it would have to be matched by employers. Even at 8 percent, however, it’s not clear how her plan would work. For a Medicare buy-in to truly “pay for itself,” its average per-enrollee charges would have to equal its average per-enrollee costs. Applied to the typical U.S. household – which has an average of 2.5 members and median income of $58,000 – an 8 percent tax would raise about $1,900 per person. That’s less than a third of the average premium for employer-sponsored insurance, which is $6,400 nationwide and $7,300 in New York. It’s also substantially less than the $3,300 that Medicaid – with its low fees and limited provider networks – spends on the average non-disabled adult. Thus the buy-in plan would stand to lose thousands on every low- and median-income family who signs up. Meanwhile, most higher-income people would probably keep the employer-sponsored insurance they already have, especially if it costs less than 4 percent of their wages. If enrollment were mandatory for Americans of any income –- as under a Medicare for All plan that Gillibrand sees as the ultimate goal – 8 percent income tax would still raise only a fraction of the necessary revenue. 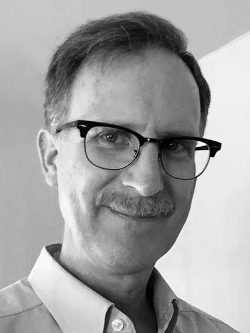 The Urban Institute has estimated that such a plan would require an additional $2.5 trillion per year in federal revenue – which equates to 25 percent of the nation’s total adjusted gross income as of 2016. Sanders himself estimates a cost of about $1.4 trillion per year, which equates to 14 percent of adjusted gross income. The challenge of raising that much money through income taxes is illustrated in the accompanying chart. The blue and gray bars show the adjusted gross income and tax payments of different income groups in 2016, and the red bar shows the projected cost of single payer. Each box equates to $250 billion. 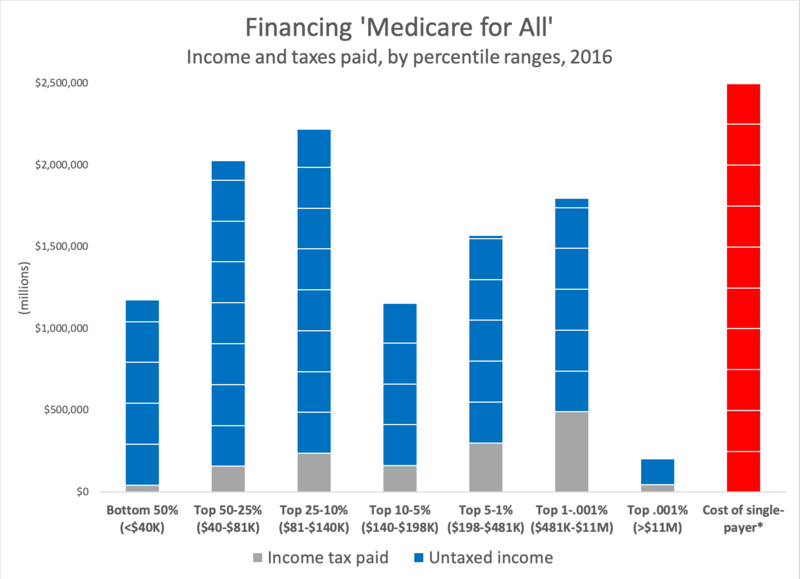 Financing Medicare for All through income taxes would entail collecting 10 blue boxes’ worth of revenue from the bars at left. As seen in the chart, the wealthiest group (with incomes in excess of $11 million a year) could contribute at most a fraction of one box. Doubling tax collections on the wealthiest 10 percent would generate about four boxes, leaving six more to be extracted from middle- and lower-income Americans. How Gillibrand arrived at her 8 percent estimate is hard to say. It’s not included in any legislation, or is there an explanation on her campaign website. The transitional buy-in system included in Bernie Sanders’ Medicare for All bill – which Gillibrand says she helped to write – specifies that premiums would be based on a projection of per-person claims, not a percentage of income. Sanders has developed a list of revenue-raising ideas to finance Medicare for All, including a 4 percent tax on income and a 7.5 percent payroll tax on employers. But those are just two of 10 items on the list, and account for only about half of the total revenue his proposals would generate.